AlertForce, a registered training organisation (NTIS 91826) of NSW has officially announced the launch of two new OHS training courses to their online portfolio which include an asbestos awareness removal course and an owner builder course. PRLog (Press Release) – Jun 28, 2011 – The Asbestos Awareness & Owner Builder NSW course are both online courses that are designed to provide short interactive training to mitigate Occupational Health and Safety (OHS) risks in the workplace in order to help companies and individuals meet the new OHS training mandatory compliance guidelines. They are open to individuals, companies, and sales channel partners who wish to keep updated in these fields. AlertForce is one of the few organisations in NSW that offers OHS training online in order to help companies meet OHS training compliance guidelines in a more convenient and organized manner. Allowing individuals and corporations to take this training in their spare time without the necessity or expense of traveling or the hassles of trying to fit training sessions around business and work commitments. The new Asbestos training is actually offered in two training sessions. A short asbestos awareness training that provides the skills necessary to trade persons, employees and those controlling work premises to identify asbestos or possible asbestos containing materials and ensure that proper steps are taken to reduce the risks posed by this material. 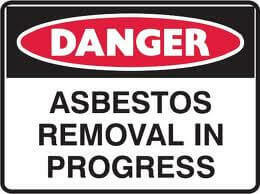 The Asbestos B removal training will allow competent persons to remove bonded asbestos. Successful completion of this course will allow competent people to receive their Queensland class B asbestos removal license. It will also allow residence of other states to use this license as evidence to obtain relevant worksafe or workcover licenses. The new Owner Builder NSW course will give those who are planning to build their own homes or do major renovations to their older homes the skills, knowledge, and information needed to meet the OHS owner builder regulations and guidelines competently and safely. This training is require by all persons who plan on building their own home or doing renovations valued at more than $12,000. Who should do an owner builder course? An owner builder is a person who does his own building work rather than employing the services of a licensed builder company or even individual. Before one can achieve this, there are processes to be followed, and the first one is undertaking the owner builder course. But some questions one may ask are; is the course meant for anyone? And if not, who is eligible then? And after the course, is one free to embark on their building work? We take a look at these and other issues in summary and see how to go about them. First, anyone can undertake the owner builder course. There are some institutions that offer online training to enable you to do this. One simply has to sign up for the course, log in, study and take the quiz. However, there are cases where some individuals may be exempted from taking the course. Such special circumstances include the following; if someone is a holder of a current BSA license, if someone is already an interstate builder or holds a trade contractor’s license or any other professional qualification that meets the minimum qualification for any BSA license such as a civil engineer, an architect, a building surveyor and other related professions. Once one has completed the owner builder course, they are awarded with an owner builder certificate. But this is not all there is to enjoying the privileges of an owner builder. There still remains the one challenge of acquiring the owner builder permit or license. One has to prove the ownership of the land they intend to develop first and demonstrate the required experience in doing the work before applying for the license. There is also a limitation on the number of owner builder permits one can get; therefore, it is important to find out all these facts first. Legislation for owner builder courses varies from state to state in Australia.